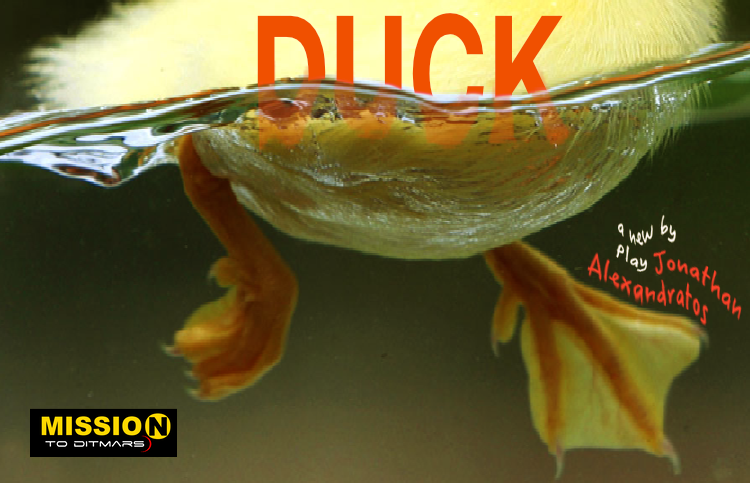 Mission to (dit)Mars is thrilled to kick off this season’s Launch Pad Reading Series with DUCK, a new play by Jonathan Alexandratos. 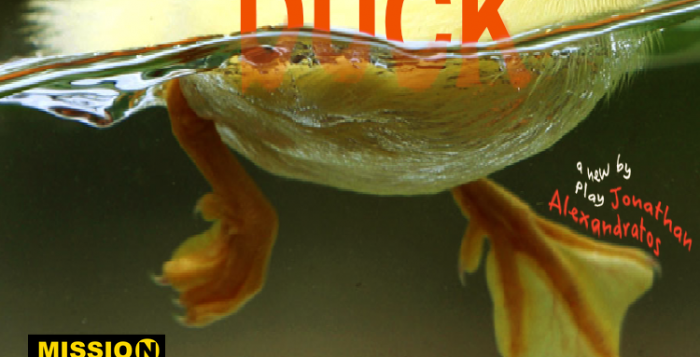 Teenage Duck Carl Duckett and his father are the only two Ducks living in a town populated entirely by Sheep. This is what happens when Carl tries to survive that. The cast includes David Shih, Mariana Newhard, Ava Eisenson, Jennifer Tsay, Scott Pestronk, and Colleen Wilson. The reading is directed by Laura Pestronk. Jonathan Alexandratos is a current member of the Propulsion Lab, Mission to (dit)Mars’ bi-monthly writers group and currently resides in Astoria. This free play reading will be held at Long Island City Music Academy on Monday, November 2nd at 7pm. Full Speed Ahead: Our first fundraiser ever!